The holiness of God…I’m in awe! I’m in AWE of His greatness and Holiness!!!! For the past 2 weeks I’ve had the Holiness of God on my mind and in my heart from the time I get up in the morning until I close my eyes at night. I’m so overwhelmed with His holiness. In the light of God’s holiness and studying about it, I’ve felt the ugliness of my sinful nature and I have such a desire to be clean in my spirit. I want to live a holy life and I want for God to be pleased with me. The greatest blessing that I feel has happened to me after all these weeks of feasting on the knowledge of the holiness of God is that I’m in total awe of His holiness. I still cannot grasp the greatness of it all because there is no way in this human form that I can do that. God’s righteousness is too big for my mind. There are just not enough words to describe His holiness. I feel helpless in even trying to explain anything about His awesome holiness. I’m using a lot of words because my mind is trying to relate this information to you but my heart knows these mortal’s words are not really going to do it for you. We should always keep trying to get understanding even so. We should seek the Holy Spirit to reveal the Rhema/living and inspired word of God to us. 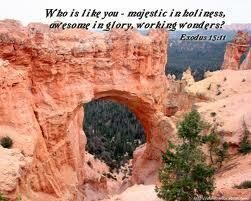 God’s holiness makes me feel VERY grateful to Him!!!!! 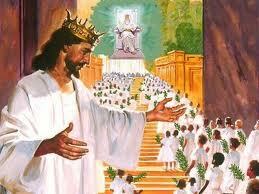 I’m soooo happy to be His friend, His bride, His daughter, His adopted child and His servant. To think that before I got saved I was His enemy because of my original sin and now I’m His daughter and an heir to the kingdom with my brother Jesus. I am in awe! This is a true Cinderella story!!! This story has a very happy ending for me and for you! I’ve been trying to get a mental picture of God’s holiness. I’ve pictured myself being presented to the president of the United States, or maybe the queen of England or even the Pope. How would I act? Would I be on my best behavior and manners? Would I show a lot of respect? I know that I would be overly respectful…. so how should I feel about being in the presence of my Holy God? I know you’re going to think I’m strange and that’s OK because I know I am LOL! 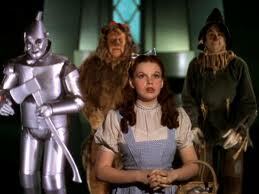 One of my favorite movies beside the Sound of music… is the wizard of OZ. I love the part when Dorothy and her friends were walking down that long hall to see the great and powerful OZ. He had all that smoke and deep bellowing powerful sounding voice and they were shaking in their boots. Isaiah 6:1-4 In the year that King Uzziah died, I saw the Lord, high and exalted, seated on a throne; and the train of his robe filled the temple. 2 Above him were seraphim, each with six wings: With two wings they covered their faces, with two they covered their feet, and with two they were flying. 3 And they were calling to one another: “Holy, holy, holy is the Lord Almighty; the whole earth is full of his glory.”4 At the sound of their voices the doorposts and thresholds shook and the temple was filled with smoke. What they experienced was fear and terror. I will never experience anything like that with my Holy God! I experience tremendous His forgiveness and love. I do experiences His awe, majesty and holiness when I’m in my prayer closet. I sometimes shake, tremble and cry because of feeling His holy presence. When I’m in this place with God I cry out for Him to forgive me of anything I’ve done that goes against His nature…His holiness, His word and then I can spend hours just bathing in His love and friendship. 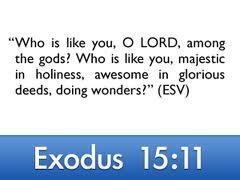 I also experience great emotions that lead me to worshiping my creator… my Holy God! I want to feel close to my Holy God and the more I learn and experience Him… the closer I feel to Him. His holiness lets me know that He is so set apart from everything and everyone I know. There is no other like Him. His holiness is His beauty and glory. His Holiness makes me want to worship Him in the deepest possible way. If a tiny piece God’s fingernail popped off and fell to earth right through the sky and through the ceiling where I am… I would fall right on the ground and I would be crying out for God’s forgiveness. I would not be able to stand in the present of His holiness…even the smallest part of Him like a piece of fingernail would be enough to fill the room with so much of His Glory. 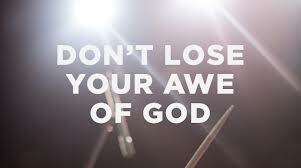 God’s holiness is huge and a very serious matter to me! 1 John 1:9 If we confess our sins, he is faithful and just and will forgive us our sins and purify us from all unrighteousness. Being in the presence of His God’s Holiness will make you want to confess your sins! His holiness will purify us!!! Thank you Jesus! I hope that through this long series of blogs on the holiness of God you will be able to feel the passion to try to be Holy because our God is holy. This can change you and will bring you to a place of revival in your spirit man…in your soul. Isaiah 57:15 For this is what the high and exalted One says– he who lives forever, whose name is holy: “I live in a high and holy place, but also with the one who is contrite and lowly in spirit, to revive the spirit of the lowly and to revive the heart of the contrite. The world truly needs and understanding of what God wants of us…and that is to live a holy life in Christ! We say things like holy cow…holy smokes and we throw that word around so much that we have dehumanized it to the point of it being almost meaningless. It’s a special word that talks about the greatest attribute of our God. 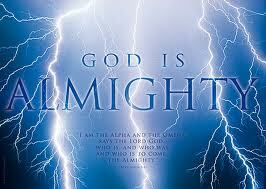 Holy, Holy, Holy is the Lord God Almighty!!!!! Message for today: Seek after God’s holiness! Be ye Holy…live right! 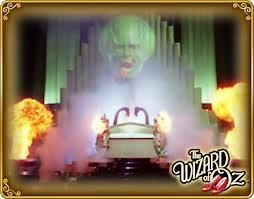 Love that scene from the Wizard of Oz! I don’t picture standing before God quite like that, but it’s a good analogy. I take comfort in knowing that God sought me out — even before I KNEW Him — and like a Hound of Heaven, chased me down until I acknowledged His Mercy, Love, and Holiness. Praise Him forever! Beyond beautiful!! I feel the same way- I think my hubby thinks I am losing it!! I starve for his word day and night- and HE talks to me and teaches me scriptures!! HOLD ON TO THAT my sister!!! Bathe yourself in HIs presence! I pray that your husband catches up with I you and jumps in the pool with too! Continue to enjoy your time with the Lord. God bless you!